We have become disconnected from ourselves. We are not taught to listen to our body’s subtle (and sometimes not so subtle) cues. We do not know how to tune into our intuition. 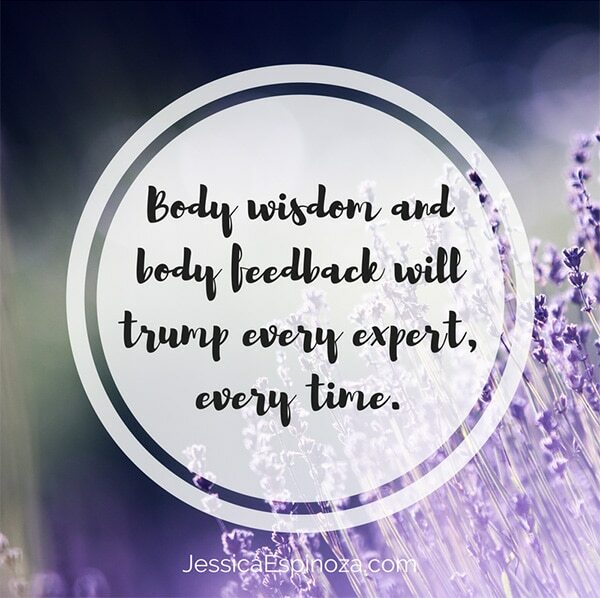 Body wisdom is a foreign concept for most. But it’s the one thing that will trump any expert, any time. They learn to listen to their intuition. They learn how to reclaim their personal power. They learn how to love themselves and their journey. They learn how to let go of beliefs, habits, and heartbreak that is no longer serving them. They learn how to become the expert of their own life, regardless of what everyone else tells them. They discover a sense of peace and calm that they have never felt, opening up the space to allow themselves to do bigger things in their life and the world. Healing cannot take place without any of this. It is physically and emotionally impossible. If you are already in tune with your body wisdom and intuition then hooray! Your healing journey will be so much easier. You are blessed to be able to recognize these areas within you and really be able to hone in on what works for you and what doesn’t. But, if you are like most people, we have not been trained to listen to body wisdom. We don’t even know what our intuition sounds like, let alone what to do if we do start hearing it. Take time to sit quietly every day. Even if it’s just 5 minutes per day, spend this time with your eyes closed, breathing deeply, and do a quick body scan to see if there are any areas that are feeling tense, stressed, or even painful. This is the #1 way we can start tuning into our body’s cues. This is also why I am such a BIG advocate of breathwork and yoga in my own life and that of my clients. Pay attention to how you feel during and after your workouts. Are you feeling energized and vibrant after exercise? 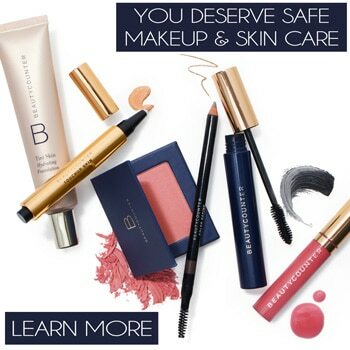 Or are you feeling run down, depressed, and fatigued? Do you have overly sore and achy muscles? A little soreness is OK, but it should not interfere with your normal activities. Do you feel like it takes you a long time to recover from a vigours workout? All three of these tips are ways that you can start tuning into your body wisdom today. You’ll begin to hear the cues that your body is giving you about what works and what doesn’t. Be confident and trust that your body knows best. So often we try to force and manipulate our bodies to do what we want them to do, when what we want may not be what our body needs. Be patient, be loving, be kind to your body. Your body is here, trying to serve you to the best of its ability, and sometimes it just needs a little quiet time to communicate with you. 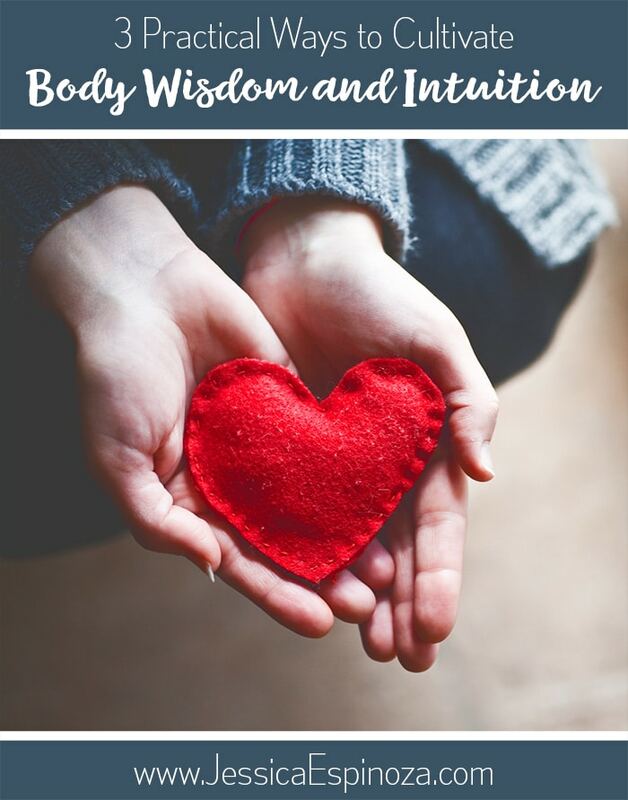 If you’ve been struggling with your relationship to food and body and are ready to tune into your body wisdom, I would love to talk. Whether you’re dealing with binge eating, overeating, yo-yo dieting, body shame/hate, or a combination of the above, know that these symptoms are holding a deeper message for you. 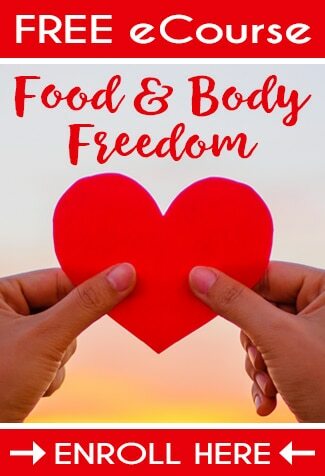 If you’re ready to say goodbye to the years of feeling out of control and compulsive around food (resulting in body shame) and shift into a place of peace and freedom then I can help.